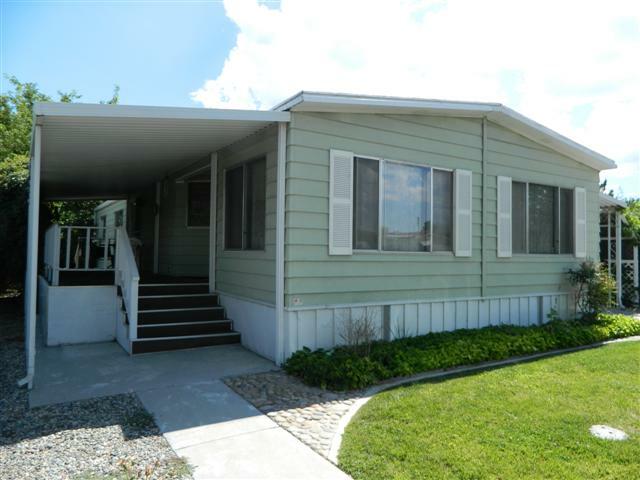 2 bedroom, 2 bath mobile home located in Highlands Sr park. Spacious living room and dining room. Rounded kitchen with window to the covered patio. Laundry room with washer and dryer hook-ups. Family room off of the kitchen with a wood stove and a sliding glass door out to the yard. New f/a heater. Covered patio. Ready to move in.